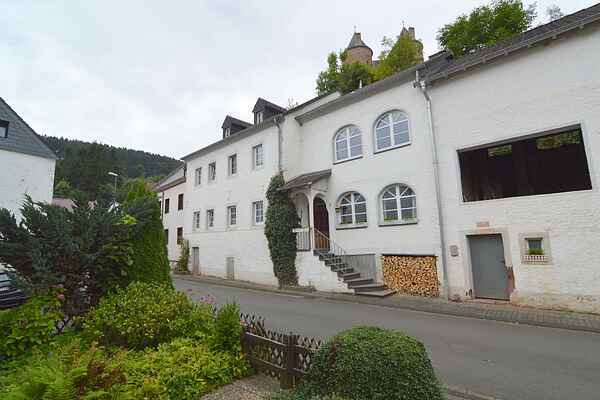 This nice holiday home is situated at the foot of the castle in Mürlenbach, a little village close to Gerolstein on the Kyll River. This hilly area is excellent for hiking. After a great day spent outdoors, it's wonderful to come home to this cosy holiday house. The home has a large open-plan kitchen / living room with a woodstove. This will quickly become your favourite spot to spend time. The house has 1 large bedroom on the ground floor and 3 upstairs, where you will find 2 bathrooms as well. The house also has a large garden, located on the other side of the street. The village of Mürlenbach is a district of Gerolstein. You will find lots of entertainment and shopping in Gerolstein. The Gerolsteiner Land holiday region offers a range of leisure and recreation options. In addition to the many hiking trails through the surrounding forests, you can also go horseback riding through the area, go for a bike ride or visit one of the various castles and fortresses. The castle in Malberg is an especially nice destination. The region also offers fly fishing on the Kyll (permits available) as well as museums and artisanal shops that are worth a visit.